Shelby dentist, Dr. Marissa Miller, and our staff are happy to help you prioritize your dental health, which is why we go to great lengths to remove any barrier that might keep you from stepping through our doors. Sedation options, flexible payment plans, plentiful office hours, and competent staff team can become your personal assets to achieving your best smile. Our relaxed office is comfortable from the waiting room to the dentist chair. Discovery Dental is completely up to date with the latest technology for any service from a regular cleaning to professional whitening services and tooth repair. What’s keeping you from the dentist can actually be what brings you back in. Remember, dentists are humans too. They have teeth and need a reminder to floss, too. 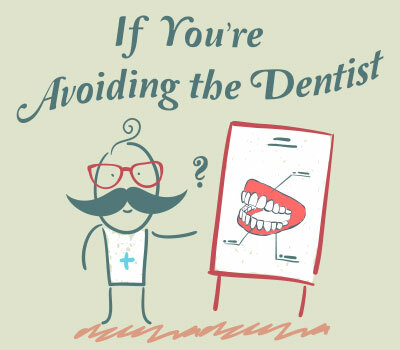 Especially at Discovery Dental, we want to hear your concerns and do everything we can to work through them. We can even offer a warm neck pillow to make your dentist visit is comfortable. Avoiding the dentist is nothing to be ashamed of, but dental check ups are still an important step in oral cancer screening and preventing gum disease. Oral health is not only key for strong teeth and fresh breath, it can also dictate other lifestyle and wellbeing factors such as heart health and self-esteem. We can think of so many reasons (beyond just keeping your teeth in your head) that make seeing the dentist worthwhile. In a world that rewards multitasking and instant results, it can be difficult to think ahead and prioritize seeing the dentist. Call Discovery Dental today, and allow us to serve you and your dental health needs. After your appointment, don’t forget to go right ahead and schedule that next visit!